Nolan’s Strategic Growth Framework helps insurers shape their future state and accelerate progress by sharpening the focus on what truly matters. In our experience, most successful carriers have a vision and a strategy to realize that vision. We also find that many executives are not always satisfied with the pace their organizations are making towards their goals. Growth rates are slowing, margins are shrinking, and technology is enabling new opportunities for competitive leverage. In this environment, opportunities and threats are increasingly harder to recognize and, more importantly, harder to stay ahead of. We help our clients put a finer point on growth strategies – separating shiny objects from strategic imperatives. We challenge assumptions. We assess the current state using market data, competitive intelligence, systematic interviews, and practical industry experience. We frame and drive exploration of growth options – some may be outside your comfort zone, but we push critical thinking to expand your horizons. Nolan’s Strategic Growth Framework provides insights and solutions across the dimensions of strategy, capabilities, and execution. We don’t believe in cookie cutter at Nolan; we tailor these to your unique situation and environment. With each of the key drivers, we have identified Typical Levers that can be addressed to significantly impact success. 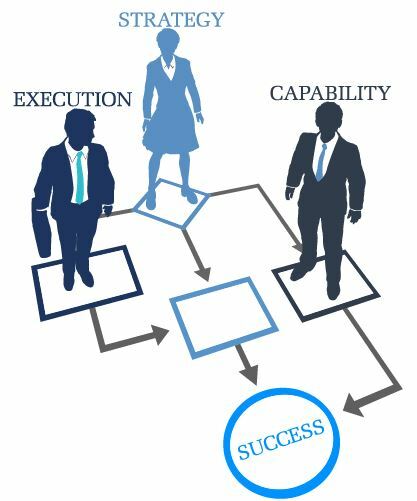 Our Nolan Assessment of Strategy, Capabilities, and Execution ties the deliverables together into a comprehensive and actionable plan.